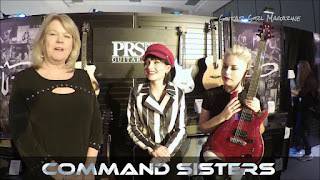 Interview with the Command Sisters at the PRS room at Winter NAMM 2019. 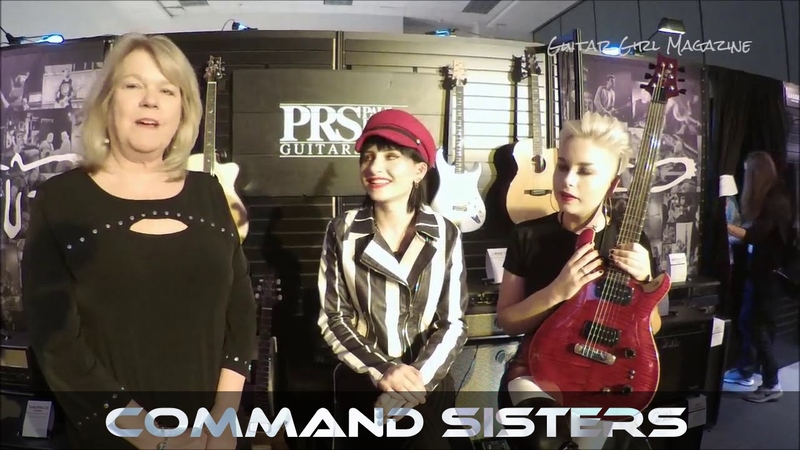 Charlotte and Sarah chatted about being signed by UMG, guitar tone, PRS, and their signature style. Guitar Girl Magazine - the latest on industry news, interviews from women in music, gear reviews, rock 'n' roll fashion. and tips on all things relating to music geared just toward female guitarists. Whether you're a beginner or an accomplished musician, you will find Guitar Girl Magazine informative, positive and fun. We will be bringing you information on industry news, artist interviews, product reviews of the items you love, tips on how to buy a guitar, how to find a guitar teacher, vocal tips, events in your area to enhance your music industry knowledge, where you can find apparel to create your onstage look, or the latest fashion concert trends, and more. In addition, we will be having contests, taking polls, creating a forum for female guitarists, along with a lot of other fun topics.